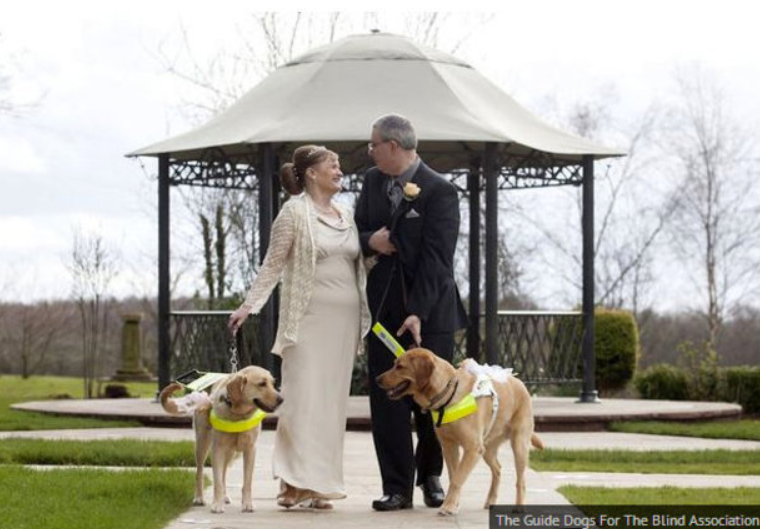 Claire Johnson and Mark Gaffey, who are both blind, met at a guide-dog training course, and their two seeing-eye dogs, Venice and Rodd, became instantly inseparable. With the two pups bringing them together, Johnson and Gaffey fell in love and recently got married. Both dogs were respectively ring bearers at the wedding. A lady’s and gentleman’s best friends brought two souls together. A wonderful story-thanks, Theresa. awww…beautiful…I can’t keep up with your amazing posts…If I am out in the garden for a day or two, I miss too many amazing posts!